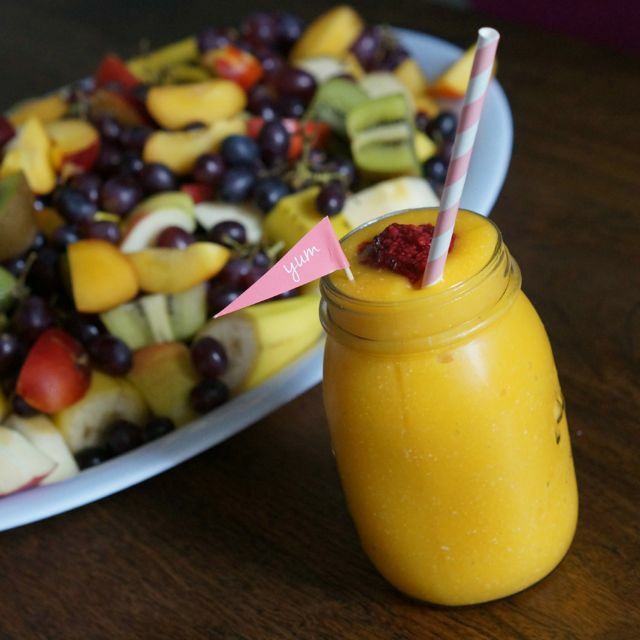 This Paleo Mango Smoothie is the PERFECT summer beverage! Cool down and enjoy! 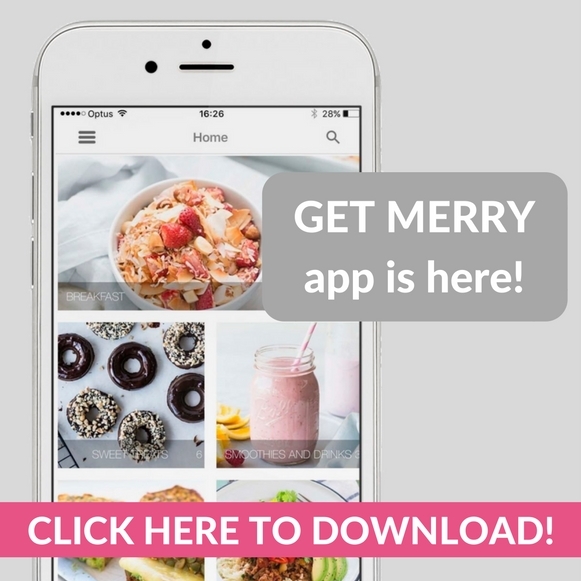 P.s remember to share your merrymaker creations with #themerrymakersisters – we love to share our favourites! Place all of the ingredients into your blender (we use our Vitamix) + blend til smooth! Garnish with some pureed raspberries or our paleo raspberry jam! You might like our other drinkies too!